I was talking with a friend about different bike share services. 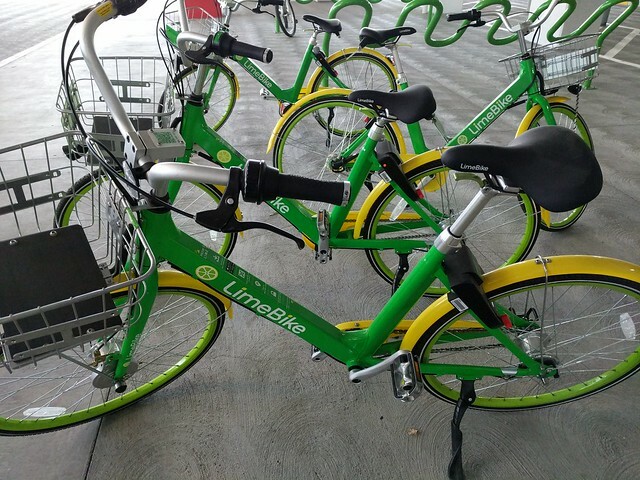 I've never heard of LimeBike before, but it does not surprise me. I have the feeling many more bike share services will be popping up in the Bay Area. I suggested the idea of the artisanal bike share service. This is a bike share service that just has one bike, it is hard to find, and make it a game for people to take photos riding it. You make it a status symbol to find the bike. It would rather be a good promotional idea for a month before you launch for real.